This has been updated as stated below. This should migrate your data. I'm changing this so you do not need artist/album info to enter songs. You will just need to enter the song name and optionally the artist. Version 1.5.0 will be the updated version. 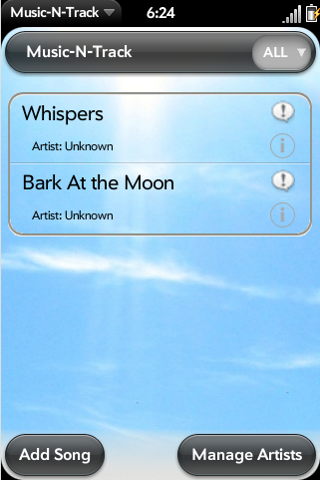 Simple application that lets you keep track of songs you like. The song listing allows you to search youtube and amazon mp3. Just an update to change the look and hopefully load a little faster. Looking for some feedback, you know, if it's a useless app, if it needs more features, or just an "ok" app.